We should be heisting on the go sometime this winter. If there's a new console on the market, you can almost guarantee that the folks at Overkill Software are already hard at work porting a version of PAYDAY 2 to it. The Nintendo Switch is no different, and, as announced during April's Nintendo Direct, the first person heisting experience is on its way to the console this winter. While a specific date hasn't been nailed down, Overkill just released a dev diary to give us a brief update on the game's progress. In fact, it even includes a clip of the game running on the Switch's portable mode. Soon enough, you can make everyone around you on the train feel awkward as you plow through police, take hostages, and haul duffel bags of money around. 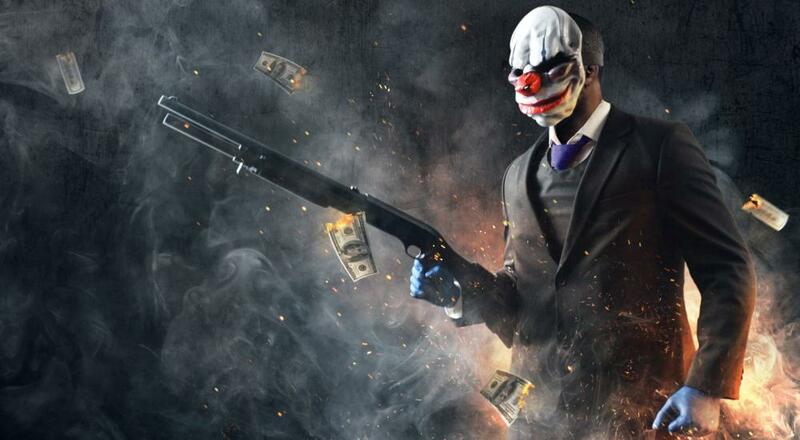 PAYDAY 2 features online co-op for up to four players. It's getting on in years, but the gameplay is tough to argue with if you're looking for a co-op FPS. Plus, it'll soon be available on just about every possible platform, so it'll be easy for everyone to snag at a moment's notice (assuming they don't already have it). The game is still on track for its original release window, so expect to be huddling around a fire and yelling at your friends to uncuff you in the near future. Page created in 0.2284 seconds.